You can listen to 'Handglams' here. In 2012 I had already heard two albums by Ty Segall, one with Band, one with White Fence. Both I didn't get around to review. Recently I heard Twins for the first time and I was thinking song after song: who is this? A Jesus and Mary Chain record I hadn't heard before? 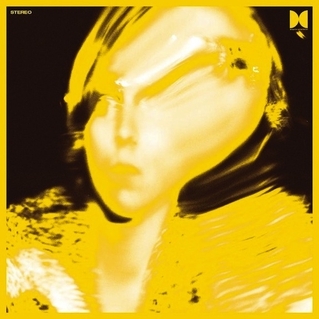 No, it was Twins by Ty Segall. Segall is a 25 year old Californian, who already has a prolific list of recordings and musical activities to his name that some artists take a whole lifetime to achieve. It seems like that what is on hand is recorded and released. Three albums in one year is not unheard of, but surely exceptional. Twins is Segall's latest release and walks a fine line between rock, psychedelia, garage rock, punk(rock) and hard-edged classic rock. Distorted, fuzzy guitars are at the fore of this album and determine the sound and pace. In this he's not afraid of creating contradictions within the context of a song. 'The hill' has this angelic female singing, by Brigid Dawson, and a ripped up, ragged guitar (solo), that shouldn't go together, but do so effortlessly. Somewhere in the noisy surroundings is always a melody to follow, in other words: songs. Songs that may be all shook up, but songs none the less. Influences seem abundant. From The Kingsmen, to Iggy & The Stooges featuring James Williamson, David Bowie, to late 70s punk, Nirvana and The Beatles. Everything that distorts a guitar in a major way, without letting go of the basis of music. What makes the album better, is the variation in the tempo of songs.The simple arrangements (i.e. loud played music) could create a certain uniformity and are a danger to the record's overall feel. This is taken away by the mention variation. What I also noticed early in, is that I like the album a lot better played over the stereo than on the head phones. This is not always the case. Another influence that sticks out is the combination of The Velvet Underground & Nico with The Velvet Underground records. Barring the total madness of 'European son' and 'The murder mystery' Twins is an almost perfect fit and could have been made by the 60s cult heroes in their anonymous heyday. Some proof that the influence of the early Lou Reed and, partially, John Cale is still there in 2012, as Twins shoots off in all sorts of directions, just like The VU did. Having said this, it's time to single out 'Handglams', a song that does sound great on the headset, as it is much more broadly mixed. This slower paced song, really rocks full out, including falsetto vocals by John Dwyer. The almost poppy 'Who are you' represents another extreme of Twins. Sixties garage rock, but the melody could have, believe it or not, been sung by The Supremes. When next an acoustic outing 'Gold on the shore' starts, I'm starting to disbelieve my ears. What's next? Classic? Opera? In short this album really goes all out in different directions, without losing focus. The overall guitar sound keeps it together in the right places. The distorted, fuzzed guitar sound is the theme of Twins, that Segall hardly strays from, till at the end of the record acoustic guitars take over. Twins may be confusing, but by looking at it as an adventure Twins grows to its intended proportions. An album by an artist that does not want to be stuck in one genre. So what's next, Mr. Segall? As an afterthought. Listening to Twins again and again, I was also reminded of 'El Camino', The Black Keys' truly breakthrough album. What would happen if Danger Mouse and Ty Segall teamed up? I think a great alternative pop album could be the result, able to shift many numbers. Or would the rough diamond become to polished? Nonetheless and interesting thought.